This is a common discussion we have with our clients seeking to accumulate a specific lump sum, to maybe take the sting out of private education costs or possibly to give a child a helping hand with the deposit on a first property. Whether it be the wish of the parent or the grandparent, investing for the benefit of a child can present many challenges. 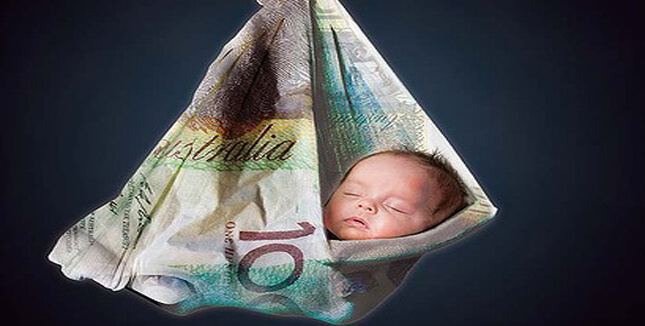 Retaining the investment in the name of the adult can mean that the ongoing and final tax implications are less than favourable, yet investing in the direct name of the child can be even less attractive, due to the high minor tax rates relating to un-earned income. With the assistance of your medical accountant, you may already have an investment vehicle within your structure, such as a corporate beneficiary attached a discretionary trust. As this is your 30% ‘tax haven’ it may appear to be the best option you have with regard to building wealth for a minor. In this scenario you can simply ‘ring-fence’ certain assets for the benefit of Child A or B. As we keep preaching to our clients, wealth creation should begin with the end in mind, which is where this plan can come undone. At some point the assets will need to be sold to realise the gains, the company will pay tax, with no 50% Capital Gains Tax relief, and then the profits must be distributed as a franked dividend with possibly more tax to pay. An alternative form of investment, which should be on the radar of the high income medical family, is that of the Investment or Insurance Bond. These are designed to be a 10 year investment, where the incentive is for you to add funds annually like a savings plan, and stay the distance until the 10 years is up. As the years go by you are able to add 125% of the investment you made in the previous year, if you miss a year and invest nothing, you have shut the door to further investment for the remaining term. Going over the 125% has other implications, as such these investments require a structured approach. Within these products you often have investment choices that enable you to match the underlying investment to your personal risk profile. The investment vehicle pays tax internally at the rate of 30%, just like any company, the income is re-invested and the pot continues to grow. No income or growth aspect of this investment ever reaches the investor’s personal tax position. Should you have an emergency and need to access your investment capital before the 10 year mark tax will be payable, however you will receive the benefit of the 30% tax already paid (similar to a franking credit). By staying the course and remain invested for the 10 years, you can redeem the investment and all proceeds are released ‘tax paid’. This of course solves both the exit strategy issues of investing via a company, and the ongoing tax issues associated with direct ownership. This style of product can be very useful for targeted saving when children are involved as the primary beneficiary. Every investment option has its pro’s and con’s, contact a MEDIQ Medical Wealth Strategist to discuss your lifestyle goals and the best investment options to achieve them.